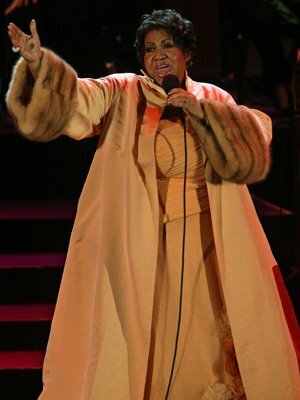 The legendary Queen of Soul, Aretha Franklin is alive and still recovering from surgery. It is believe that people mistook Teena Marie's death for Aretha because Teena Marie is called the "Ivory Queen of Soul" while Aretha's title is the "Queen of Soul". I don't believe anyone was confused. It was just some idiot who decided to get their kicks off of making people believe someone who is alive is dead. The people that start the rumors of celebrities death must not know the impact that it makes on that celebrities family, friends and even fans. It's like someone telling you your mother died and you haven't talked to her in a day. Yet, your mom is just fine at work unable to take personal calls at the moment. You call your mother to check for yourself but don't get an answer. In the middle of your frantic truth searching mourning period, you discover it was just a practical joke. Your mother is alive and well. Well is the humor in that? Please think about the impact that spreading a death rumor will have before you make that decision. Thank you for this post. I wish people wouldn't play with death and rumors. Not a good combo. And karma is a bish.